I didn’t go into this movie with high expectations or even any excitement. The trailer hadn’t moved me and, in all honesty, the only reason I watched it was because it had ‘starring Tom Hanks’ and ‘directed by Steven Spielberg’ on the poster. 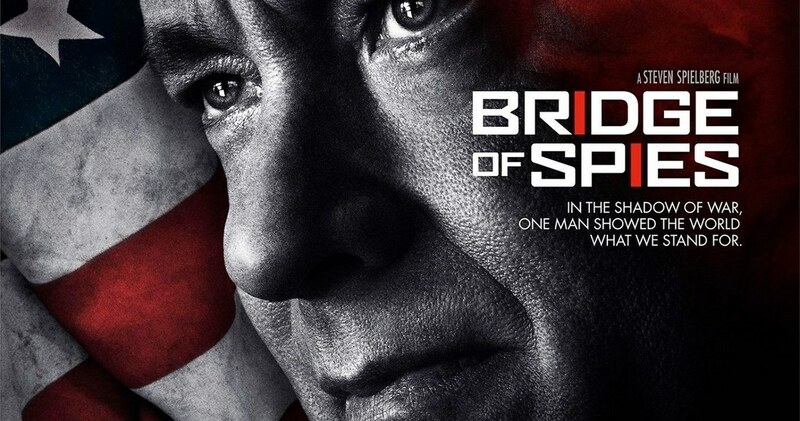 Bridge of Spies is a great example of a rather interesting story being told in a rather dull way. Okay, basic plot: During the Cold War, Rudolf Abel (Mark Rylance) is arrested by the FBI under suspicion of being a Soviet spy. For the sake of appearances, Abel needs to be given a fair trial with adequate legal representation. 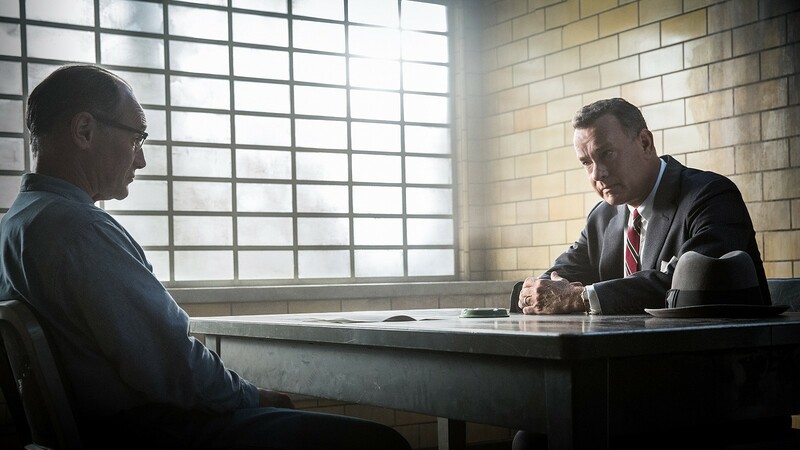 James Donovan (Tom Hanks) – an insurance lawyer from New York – is selected to act as Abel’s defense attorney. Although initially reluctant, Donovan is inspired by the resolve Abel shows in his resistance to co-operating with the US government and divulging covert secrets. Donovan’s diligent work with Abel’s case takes him from insurance lawyer to international spy when he is asked to mediate an exchange between America, The Soviets and The German Democratic Republic where Abel will be traded for two American citizens caught behind enemy lines. Tom Hanks is gem! The man could release a video of his colonoscopy and I would go watch it just because his name is on it. I’ve watched several of his films and I’ve never picked up a bad performance. More impressively, no two of his performances are ever alike. When I think of the characters Hanks has portrayed over the years, they all seem to fall smack-bang in the middle of the spectrum. None of them are soft-spoken introverts or expressive and extravagant extroverts, they all (bar Forest Gump and an oddball here and there) are pretty ‘average Joes’. So for Hanks to make these characters who are great but not necessarily remarkable, memorable is quite a feat. James Donovan is a great example of this. 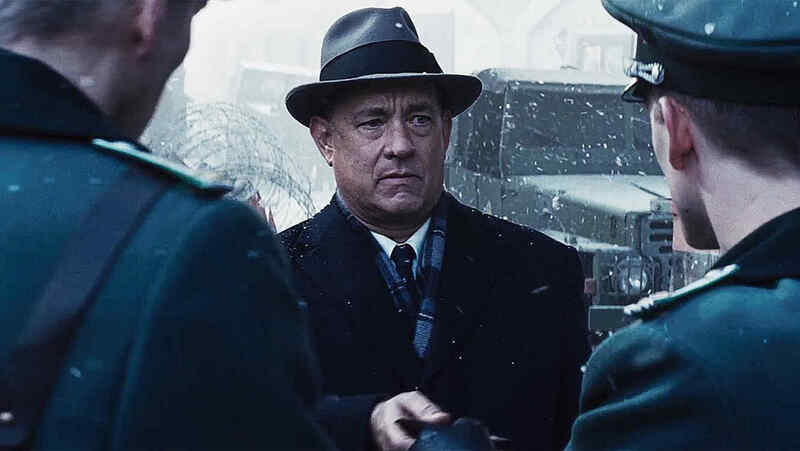 Yes, he has this unyielding resolve and uncompromising sense of duty to justice and the rule of law but there’s nothing remarkable about him, nothing outlandish but Hanks breathes so much life into him and commits to the character with such dedication that he makes him entertaining. That’s the beauty of Tom Hanks – his ability to make the seemingly ordinary, extraordinary. BUT, Tom Hanks is not the best actor in this movie and that’s a sentence I don’t think I’ve ever said. The best acting in this movie is done by Mark Rylance who stars as Rudolf Abel. He has this effortless charm and tranquil spirit that he brings to the character that is absolutely amazing to behold. In essence, he’s the ‘bad guy’ in this film and we know he’s the bad guy but he’s such a charming character and Rylance’s performance is so well-crafted that you end up rooting for him and a part of you actually starts to think that he isn’t guilty of the crimes he’s accused of, even though you’ve seen him commit these crimes. It’s an extraordinary level of acting and he steals scenes from Hanks more than once. It’s a shame that his character wasn’t a bigger part of the story and that he’s screentime was so limited because witnessing the chemistry between him and Hanks was a delight. This film starts really well and it ends really well, the problem I had with it was in its middle. The second third of the film focuses on Hank’s character – James Donovan – mediating the trade that would see the two American prisoners rescued. Now we’re shown who these prisoners are and how and why they got captured but the parts of the film that focus on them feel completely out-of-sync with the rest of the film. It felt like a random add-on rather than a congruent part of the story and, this is a major problem, because it led to me not properly connecting with the characters and, thus, not caring about them. This means that I had no invested interest in their release nor did I have interest in Donovan’s success. All of this led to the rest of the movie feeling emotionally hollow. Plus, the film’s plot is pretty formulaic and predictable so you can see the ending coming a mile away and, because of this, nothing ever feels at stake. It never feels like our hero can lose, so why invest any emotion in him? I think this is one of those movies that I’m never going to be able to fully appreciate because I’m not American. I don’t have any ties or memories of the history this film describes and, therefore, there are no notes of nostalgia or heartstrings it can pull on. It’s the same thing that happened with American Sniper – I never felt like I could fully connect with either film. It is, however, interesting to see how much the world hasn’t changed. The manifestations of fear and the emotionally-driven reactions that people show today are very similar to what was happening during The Cold War. I guess there really isn’t anything new under the sun.